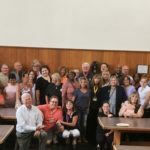 Local 5629 represents professional and non-professional staff at the AAC/Sunrise House, an inpatient detox and rehab facility for individuals with substance abuse issues. 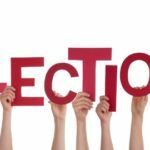 The Nominations/Election Committee announces that there are two (2) local officer positions that are up for this special election this year. 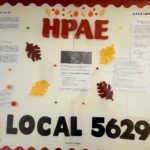 The Nominations/Election Committee announces that they are now accepting nominations to represent Local 5629 at this year’s HPAE State Convention. 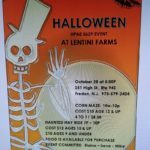 There are two events this month for members: a membership meeting on October 17 and a Haloween social event on October 28. Now That’s a Great Union Bulletin Board! HPAE Local 5629, which represents the staff at Sunrise House in Lafayette, NJ, is HPAE's newest local, but it has one of the best union bulletin boards in New Jersey. 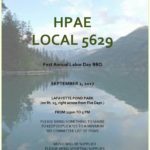 We're holding a Labor Day barbecue on Saturday, Sept. 2, 12 Noon to 5 pm, at the Lafayette Pond Park (across from the Firehouse). HPAE President Ann Twomey gave the oath of office to the newly-elected of officers of HPAE's newest local union last Thursday prior to the first meeting of Local 5629's Executive Board. 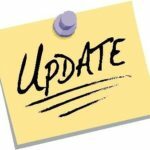 At a meeting on Thursday, July 20, Local 5629 members unanimously approved the local's new constitution and by-laws and elected new officers. Local 5629 members will be discussing and voting tomorrow on the local's constitution and by-laws. Local members will also be nominating candidates for the six local officer positions. 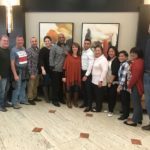 Local 5629 members at Sunrise House, who recently ratified a first contract settlement, are now at work with a strong contract which provides for significant wage increases, strong health and safety language, staffing improvements, and rights to fair treatment. 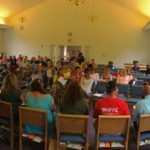 Sunrise House workers overwhelmingly ratified their first contract yesterday at a meeting in Lafayette, NJ. 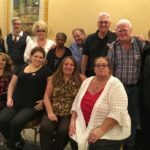 Addicted to Profits: Workers Locked Out at New Jersey Drug Treatment Facility One hundred ten addiction treatment beds are empty, and 120 employees without a paycheck, after for-profit American Addiction Centers locked workers out of its Lafayette, New Jersey, facility. We made progress today in the negotiations, but management still refuses to budge on the issues that are vital for our ability to provide the best care possible for our patients. Local 5629 member Roland Harris has been taking photos while we've been on the picket line due to AAC's illegal lockout. In a sign of growing support for their contract fight, AFT President Randi Weingarten and a leading candidate for NJ Governor Phil Murphy joined Local 5629 members at Sunrise House today to show their support for the workers. 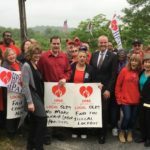 On Tuesday, May 30th, AFT President Randi Weingarten and Phil Murphy, Candidate for New Jersey Governor, will join nurses and health professionals illegally locked out by American Addiction Centers (AAC). 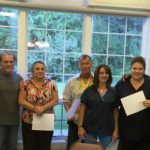 HPAE Local 5629 members at Sunrise House, a substance abuse treatment center owned by the for-profit company American Addiction Centers (AAC), have been illegally locked out by management. 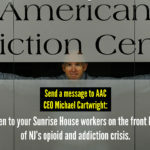 One of the nation’s largest for-profit addiction treatment chains, American Addiction Centers (AAC), has illegally locked out workers after failing to reach an agreement for a first contract with nurses and health professionals at Sunrise House in Lafayette, NJ. We made serious offers to management today on staffing and other issues, but, unfortunately, management did not come to the table today with the intent to actually reach a settlement which addresses our key issues. 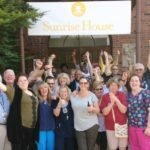 After nine months of bargaining a first contract, 120 nurses and addiction treatment workers at Sunrise House are set to begin a three-day Unfair Labor Practice (ULP) strike tomorrow and will hold a kick-off rally on May 24 at Noon. 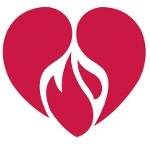 We have membership meetings today at the Lafayette Firehouse, at 1:30 pm and 5:30 pm. Meanwhile, the Negotiations Committee will be bargaining with management to try to reach a settlement. Sunrise House Workers Need Your Help: Rally on May 24! Send a message to AAC CEO Michael Cartwright! 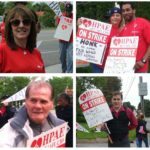 As you are aware, on Friday, May 12th, your negotiating committee gave management a 10-day notice that if management did not come to the table and negotiate in good faith, there would be a three-day Unfair Labor Practice (ULP) strike. 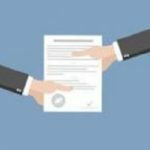 AAC is under investigation by the National Labor Relations Board (NLRB) for failing to bargain in good faith, discriminating against workers, failing to provide a safe work environment and for failing to provide necessary information. 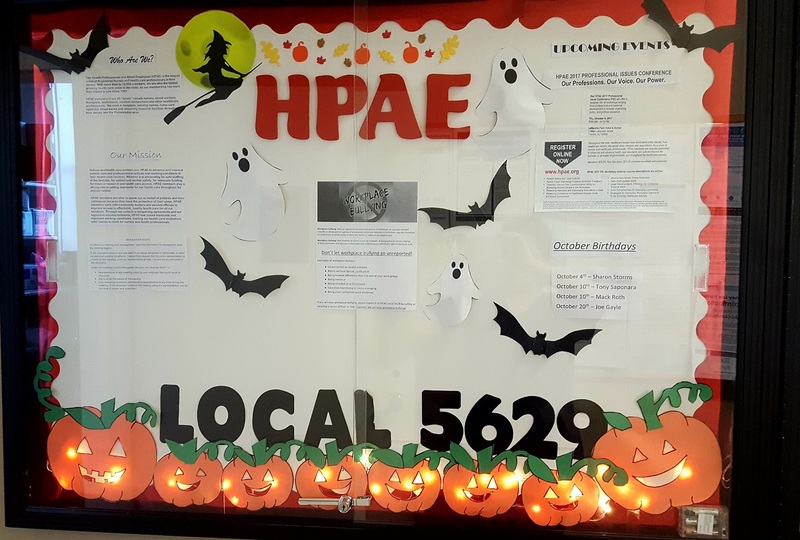 With an overwhelming "Yes" vote, HPAE Local 5629 members voted last Friday to authorize our Negotiations Committee to send management a 10 day strike notice, if necessary. With many of the key issues still unresolved in the ongoing negotiations for a first contract, Local 5629 members at AAC/Sunrise House will be taking a strike authorization vote on Friday, April 28 and Saturday, April 29. After six months of negotiations with management, we are now entering the phase of bargaining when the most difficult and serious issues are being negotiated. 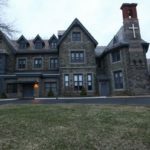 After several incidents of violence at Sunrise House, HPAE, the union representing 125 addiction treatment workers at the facility, filed a complaint with the OSHA. Since the 125 staff members at AAC/Sunrise House voted overwhelmingly in favor of union representation with HPAE on June 29, 2016, management has committed a number of violations of workers' rights under the National Labor Relations Act (NLRA). We've been negotiating with AAC/Sunrise House management for our first union contract since September 21 and have had nine bargaining sessions. 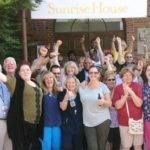 Employees at Sunrise House in Lafayette, N.J., have voted to join the Health Professionals and Allied Employees (HPAE) union.